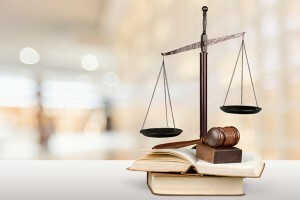 While the number of lawyers in America continues to grow,the share of African-American lawyers hasn’t changed in more than six years according to the American Bar Association. Now, Grambling State University is partnering with the University of Iowa College of Law to prepare and grow the next generation of black lawyers. “From Thurgood Marshall to Barak Obama, African-American lawyers have made some of the greatest contributions to American policy and progress,” said President Rick Gallot of Grambling State University. A Jumpstart for Black Lawyers: Is Law School for Me? This March, up to 25 Grambling State University students will have the opportunity to answer their questions about law school through a “law school boot-camp” better known as the University of Iowa College of Law Bridge Program (ILBP). “Both Grambling State and the University of Iowa have a long legacy of producing high-achieving legal and criminal justice practitioners,” said Dr. Karletta White who spearheads GSU on- campus IBLP recruitment. Dr. Alexander Lodge, a 2006 alumnus of Grambling State University, will address the 2019 IBLP participants and share his experience as an associate with Foley & Lardner LLP, where he is a member of the firm’s Chemical, Biotechnology & Pharmaceutical Practice. For Students: Qualifications and How to Apply? Visit http://bit.ly/gsuilbp19 or contact Dr. Karletta White at whitekar@gram.edu or 318-274-2526. This entry was posted in academics, awards, events, gramstory, studentlife on January 14, 2019 by Jovan Hackley.